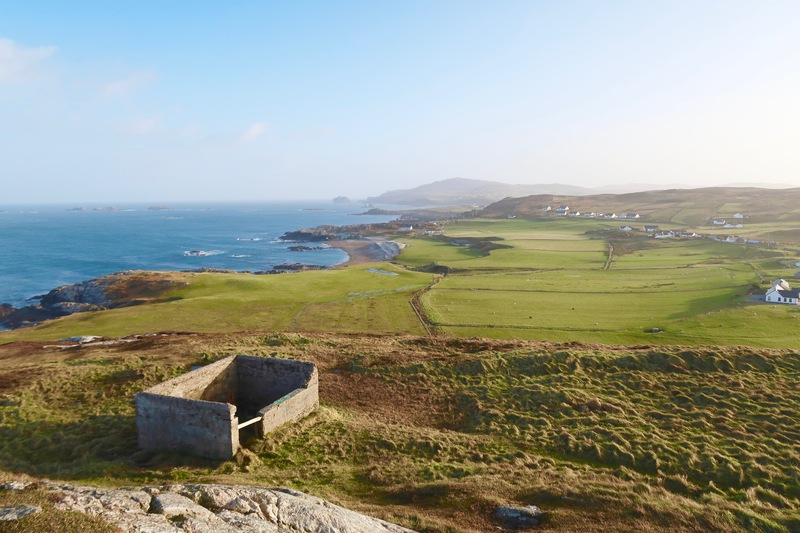 Malin Head in Donegal, Ireland is a MUST SEE! Every other year, my husband David and I make the pilgrimage back to Ireland to see his wonderful family for Christmas. Usually, the trips are filled with lots of bonding time, eating, and long chats, but we always make it our mission to venture out on our own a few times throughout the trip and experience something new. Even though Ireland feels more like home now than a travel destination, there’s still so much I haven’t seen. 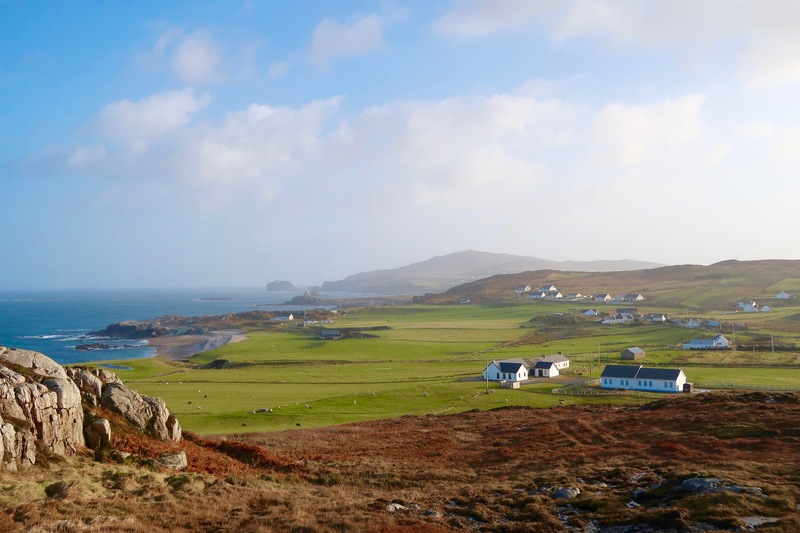 This trip, we set our sights on Malin Head in Donegal, Ireland, which is the most northern point of Ireland. 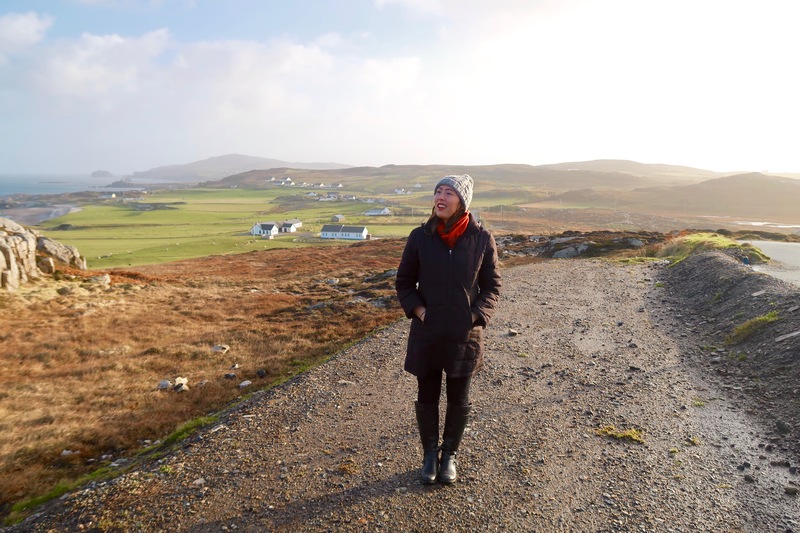 We’d read several articles that on certain nights you could see the coveted northern lights from Malin Head and we were determined to try and see it for ourselves. 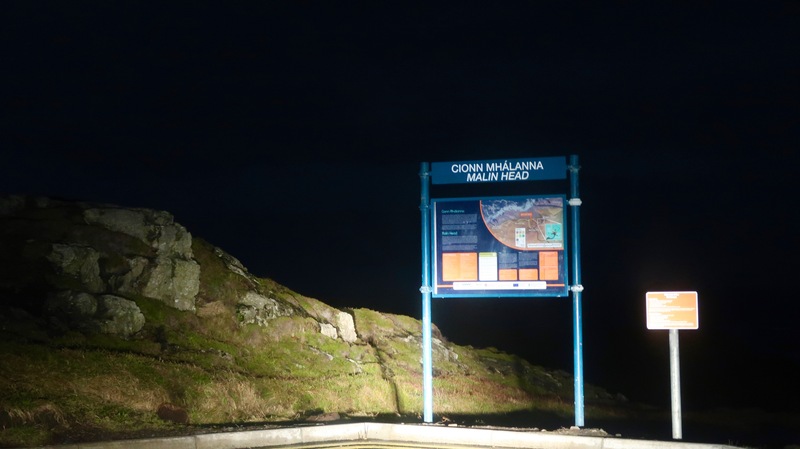 Apparently, it’s a rather new and irregular occurrence in Ireland, but even the off chance of seeing the lights was enough to inspire us. We downloaded an app called Aurora that predicted when the northern lights would make an appearance and it was predicting sundown on new year’s day would be our best bet. So, we packed up our stuff and made the four-hour drive that evening. 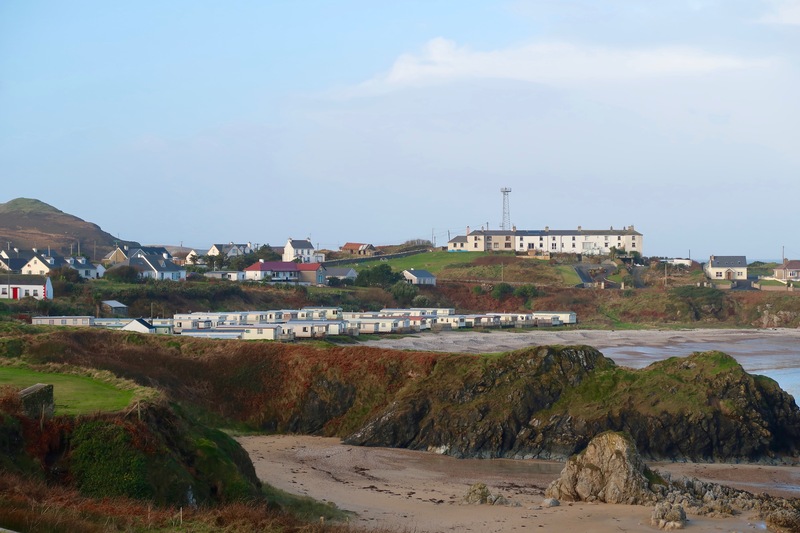 The drive to Malin Head mostly consisted of small, windy, two-way roads that honestly barely felt like a one-way road. But, David zoomed right through them like an absolute pro (maybe it’s a born-with-it kind of Irish skill). Even though it was completely dark on our drive, I could tell we’d wake up to some unbelievable views. 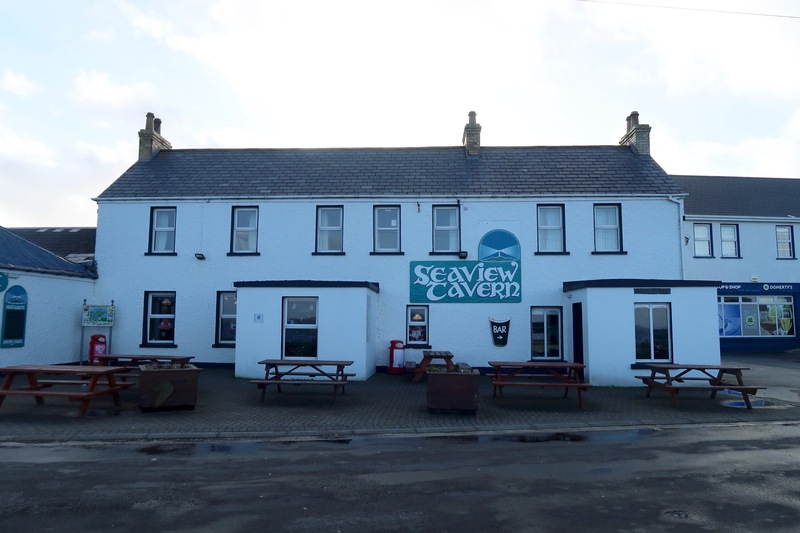 We arrived at The Seaview Tavern at around 10:30 PM. When we get there, the tavern was in full-swing filled with partying locals, but once we were brought up to our cozy room we couldn’t hear a peep. 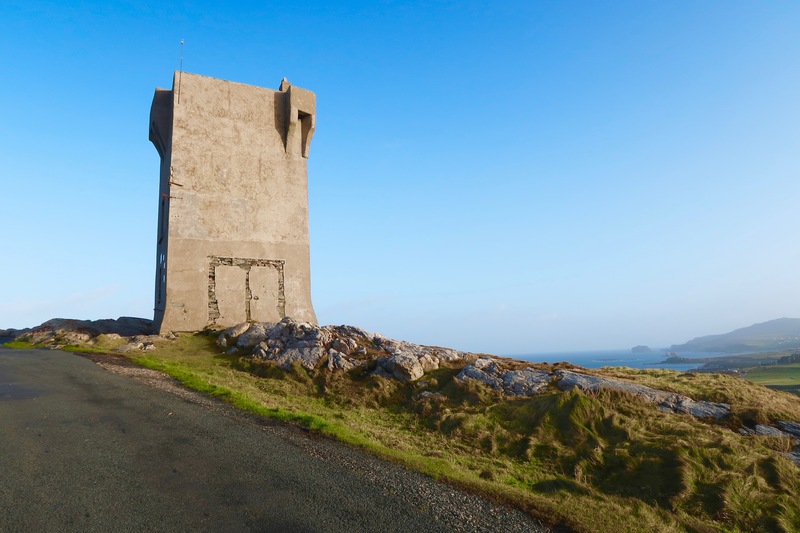 We dropped off our stuff, sorted through our gear, and drove 5 minutes to Malin Head signal station, which faces the water and gives a full view of the open sky. We sat in the car wrapped in a duvet and patiently and excitedly waited…but there was no sign of green skies. Both of us nodded off at one point and woke up to find that it just wasn’t going to be our night, so we drove back to the B&B and fell fast asleep. 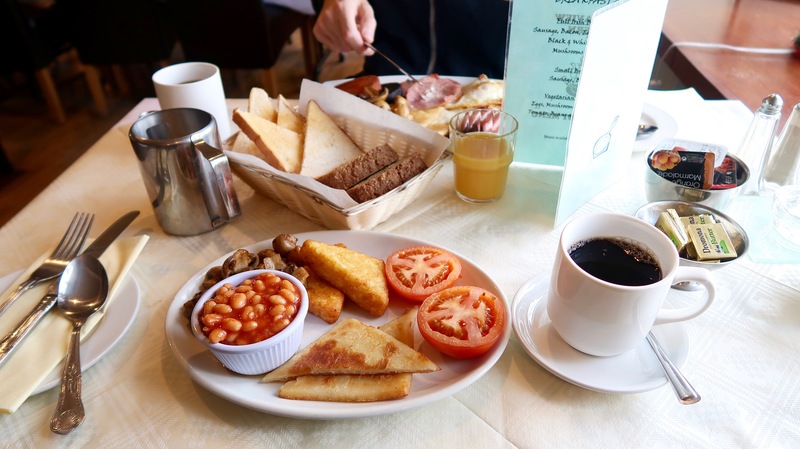 This definitely didn’t dampen our spirits because we still woke up to a seaside view and a tasty, complimentary Irish breakfast. I was thrilled to see that they carried a vegetarian version as well! Once our bellies were full, we made our way right back to the signal station where we parked during our northern lights fail last night. We wanted to see it in its full glory. And…by god was it beautiful. 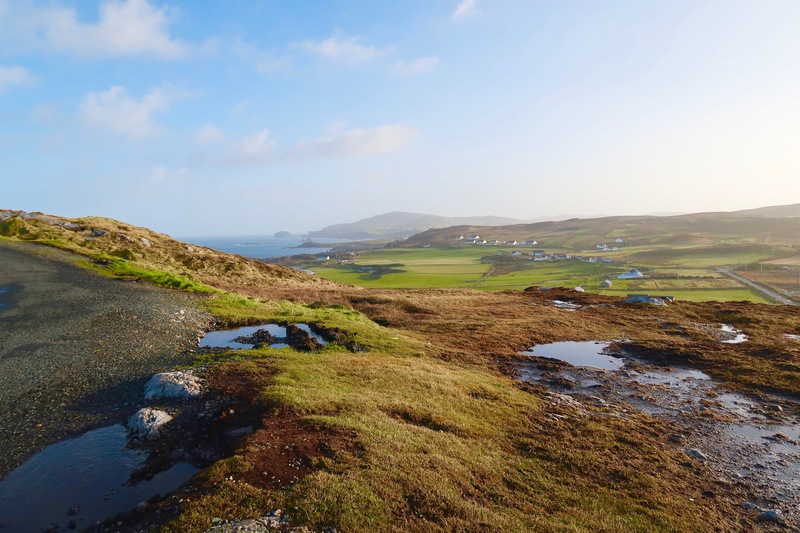 The view looked like the idyllic Irish fairytale any traveler would dream of. Soft, green rolling hills, grazing fluffy sheep, and blue crashing waves. Absolutely stunning. 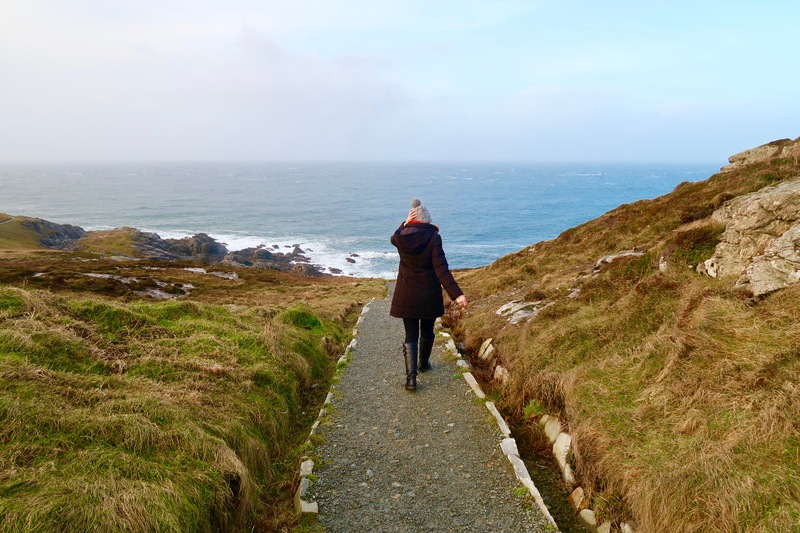 If you’re planning a trip to Ireland, you HAVE to make your way to Donegal! The small town charm and friendly locals will draw you in, but you’ll want to permanently move here once you get a good look at the view. I know I did.